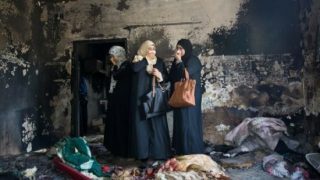 Sunday marks the first anniversary of the arson attack on the house of the Dawabsha family, which was carried out by Israeli settlers in Douma village, to the south of Nablus. The father Saad, 32, mother Reham, 27, and 18-month-old Ali were killed while Ahmed, aged 5, the only survivor among the family, was injured, Al Ray reports. 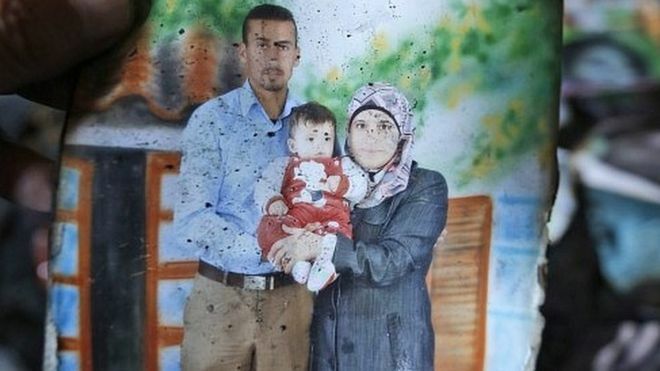 Last year at dawn, on July 31, extremist Israeli settlers infiltrated the village, under cover of darkness, to set fire to the Dawabshas’ home, leading to the death of infant Ali on the scene. Both parents and the other son Ahmed were critically injured. After seven days, medics announced the death of the father, whereas the mother died two months later. Local resident Mesalem Dawabsha, aged 23, said he saw four settlers fleeing the scene, with several local residents following in pursuit. According to Dawabsha, the settlers fled toward the settlement of Ma’aleh Ephraim. Dawabsha added that other witnesses saw the settlers smash the windows of the house before throwing firebombs inside. Two suspects were indicted for murder, over the incident, in January.